For years, an organization called Women on Web has been helping women who need an abortion have them in the privacy of their own homes—by mailing them the pills used in medically-induced abortions. Headquartered in the Netherlands, Women on Web has works with women all over the globe for years. But its founder, Rebecca Gomperts, has stayed away from the U.S., for fear that the anti-abortion movement could go after and hurt the organization as a whole. As of six months ago, that’s changed; the Atlantic reports that Gomperts has started another group, Aid Access, that works with women seeking abortions in the U.S., and has already mailed abortion pills to 600 women. The process for Aid Access works like this: Women seeking abortions go online and fill out a consultation form. In order to receive the pills, they should not be more than 9 weeks pregnant. Mifepristone and misoprostol—the generic names for the drugs used in medically-inducted abortions—rarely result in complications, but they are not guaranteed to work after the first trimester. Persons are allowed to receive medicines for personal use only in most countries. Mifepristone and Misoprostol are on the list of essential medicines of the WHO. They are not narcotics (like morphine or cocaine) or pleasure drugs (like ecstasy) or contraband or controlled substance. Misoprostol is registered in most countries and can also be used to prevent stomach ulcers. Mifepristone is not registered in all countries but this should not be a problem because the medicines are for personal use only. The FDA approved Mifeprex (the brand name for mifepristone) in 2000, and medically-induced abortions have been estimated to make up half of the abortions done in the U.S. 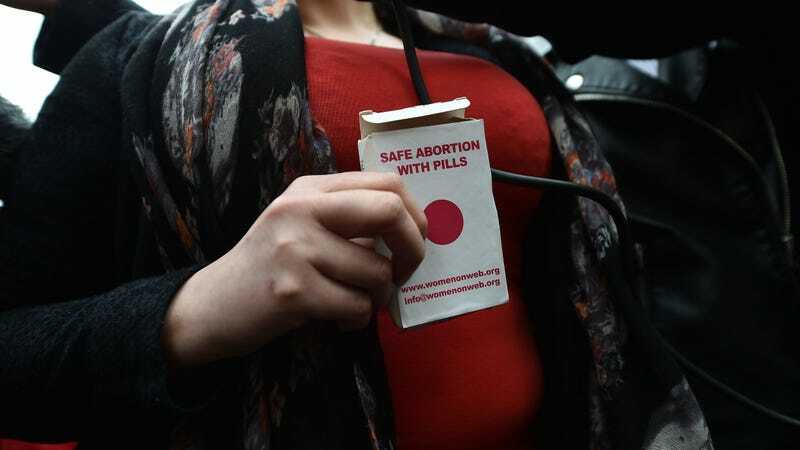 But according to experts, doctors in the U.S. may be hesitant to prescribe abortion pills because of the FDA’s strict guidelines around it, despite the fact it has been proven to be safe and effective in terminating pregnancy.